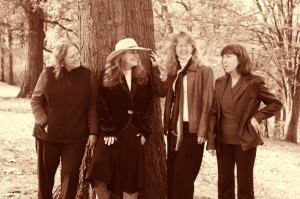 On Friday, April 19th an all female bluegrass band will take the stage. Ma Crow and the Lady Slippers hail from Cincinnati but they are well known throughout the state. This group is the 2013 Cincinnati Entertainment Award nominee for their bluegrass, Americana and old time mountain music. Ma Crow is a legendary acoustic artist. The show starts at 7:30pm, box office opens at 6:30pm. The historic Clifton Opera House is located at 5 South Clay Street, Clifton. Call 767-2343 for more information Handicap accessible.